Quality Time: Whether it is 9 holes or 18 holes, playing golf gives your family a couple of hours to spend together. The uninterrupted quality time you are able to spend with your kids is great regardless of what age or stage of life they are in. Quality time… Is there anything more important than this? It’s for Everyone: Whatever the age, golf is a game that everyone is able to play. Whether you are playing with a young child, grandparent or anyone in between, it’s a sport that can be enjoyed by all. No one needs to watch from the sidelines and for that reason, it’s great to share with your family. Appreciating Nature: The fresh air is another great reason to get on the course and enjoy the outdoors. Golfing gives you the opportunity to enjoy the beauty of nature by taking in the scenery and enjoying the views. Plus, sometimes when you are lucky you will even catch a glimpse of some wildlife. Active Living: Ingraining an active lifestyle into the lives of children, parents, and grandparents alike is incredibly important. Whether it’s walking the course or just in between strokes, golf is a great way to stay active and live a healthier lifestyle. Life Lessons: Golf, it’s an honest game. Throughout the game you are the one penalizing yourself – it teaches children to be honourable and honest. Some rounds can be humbling and it always requires lots of patience. Testing Your Skill Level: Golf is an excellent way to build skills and test yourself – whether it be testing you against the game, your opponent or your previous score. Camaraderie: Finally, the camaraderie that golfers find on the course is what keeps many of them coming back. It’s an opportunity for families to make lifelong friends and to create great memories. 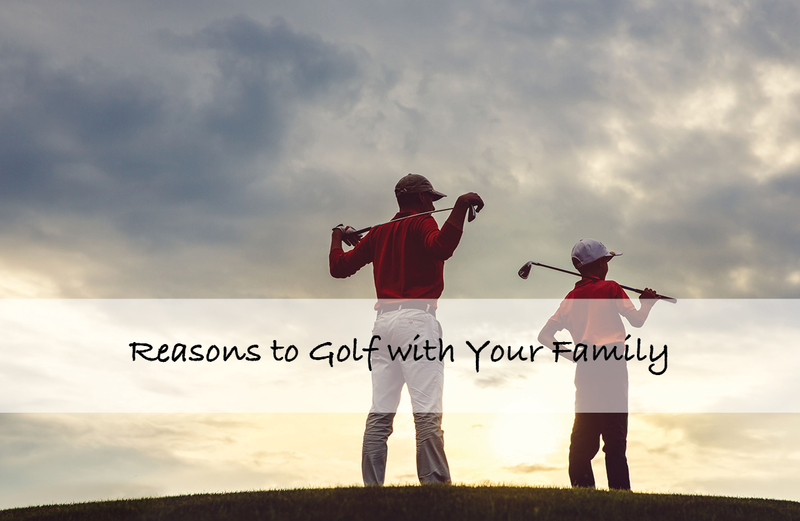 Can you think of other great reasons to golf with your family? We’d love to hear them! And while you soak in these reasons to golf with your family, consider registering for our Parent & Child Tournament at Timberwolf this Sunday evening. For more information and to register click here.